Taeniasis is an intestinal infection with either Taenia saginata, the beef tapeworm, or T. solium, the pork tapeworm. They are large cestodes reaching a length of up to 10 metres. 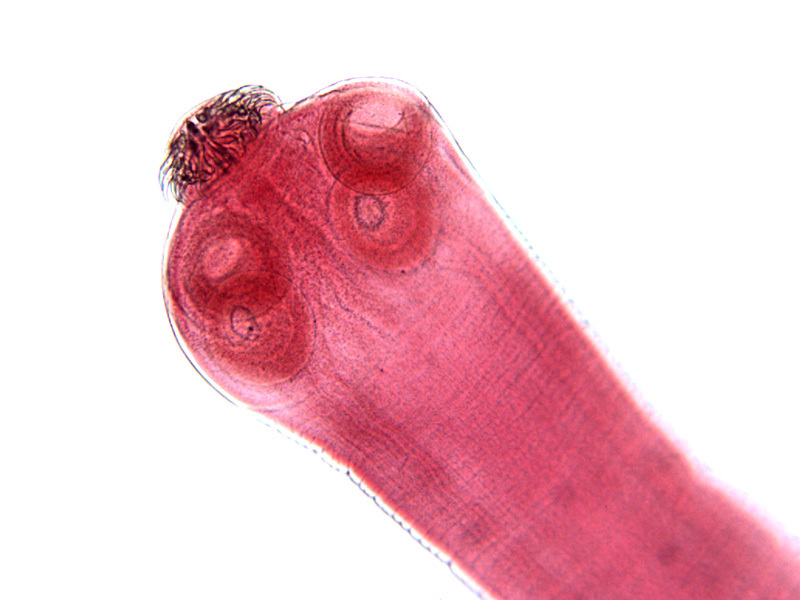 In most cases, only a single worm – which can survive for many years – infects the final host. Taenia solium can also cause cysticercosis, a severe tissue infection when humans serve as the intermediate host (see under cysticercosis). Infection is caused by eating raw or undercooked meat (tartar, sausages) containing cysticerci. Humans are the only natural final host. The larvae evaginate in the small intestine and become mature worms in about 3 months. Infected patients then start eliminating worm segments (proglottids) with eggs infective for the intermediate hosts (cattle for T. saginata or pigs for T. solium). 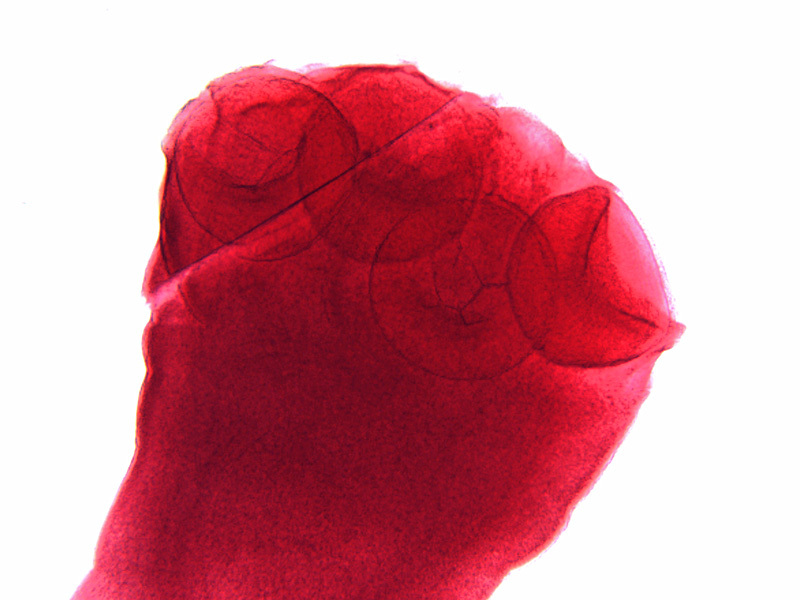 After oral uptake of eggs by the intermediate host, hexacanth embryos emerge from the eggs and leave the gut. By blood or lymphatics they reach various tissues (muscles, viscera) where they become cysticerci which are infectious for many years.